The world is faced with existential threats. The financial crisis of 2007-8 and its consequences still endanger the stability of Europe and the world economy. Resource shortages are imminent. Climate change may wipe out one sixth of all species. Terror, wars, and mass migration create increasing challenges. All of this results from our lack of sustainability. To manage scarce resources and endangered people, powerful global information systems have been built, based on Big Data and Artificial Intelligence. But at the same time, cybercrime and other misuse of Information and Communication Technologies are exploding. The before mentioned problems are still largely unsolved, and automation is expected to claim a large amount of jobs within just a few years. The digital transformation of our society progresses at full steam. This situation inspired the FuturICT initiative back in 2010. The initiative called for a major, flagship-size effort to address these challenges by unleashing the full potential of Information and Communication Technologies. At that time, it became clear that emerging fields such as Data Science, Computational Social Science and Global Systems Science would offer promising new approaches to the above problems. However, the solutions at that time were still vague. This has changed, and that is why a FuturICT 2.0 project is timely. As Albert Einstein stressed, problems cannot be solved within the prevailing paradigm that created them. In fact, the World Economic Forum has identified 10 key global challenges, which cannot be addressed with conventional means including today's Big Data approaches, which imply problems such as over-fitting and mistaking correlations for causality. Therefore, disruptive innovations are needed. FuturICT 2.0 offers such disruptive innovations, which addresses the root of the above problems: lack of sustainability. The combination of the Internet of Things with Blockchain Technology and Complexity Science creates an entirely new opportunity to address our challenges. We discuss this under the label "finance 4.0", which stands for a multi-dimensional incentive system to manage complex systems and promote a circular and sharing economy that would allow to create a high quality of life for more people with less resources. The finance 4.0 system is liberal, democratic, pluralistic, participatory, social and ecological. It makes use of the unlimited, immaterial nature of information, boosts combinatorial innovation and creates opportunities for all, by fostering an open and participatory information, innovation, production and service ecosystem. It realizes that our current success principles of globalization, optimization, regulation and administration have served us well, but have also reached their limits. For this reason, FuturICT 2.0 explores the potentials of complementary success principles such as co-creation, co-evolution, collective intelligence, self-organization, and self-regulation. Information and communication systems, which empower everyone to take better decisions, to be more creative and innovative, and to coordinate and cooperate with others, would lead to better business models, products and services, smarter cities and smarter societies. In other words, the combination of smart technologies with smart citizens will be the success formula for the future. Our work on governance 4.0 and on the open and participatory Nervousnet platform to create data for all by involving citizens are heading exactly in this direction. 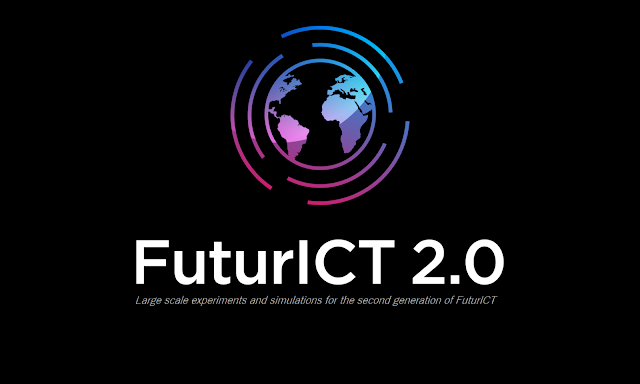 The subjects that FuturICT 2.0 addresses are critical and urgent. The project will bring together and enlarge the communities of social (qualitative and quantitative), computational and complexity scientists, foster inter-, multi-, and trans-disciplinary collaboration and exchange - and pave the way for a scientific and organizational framework for the emerging digital economy and society. On an organizational level, we will apply the instrument of jointly-supervised ICTSS projects in addition to the traditional workshops, exchanges, and meetings. On a technological level, we will bring together Big Data, Artificial Intelligence, Agent-based Simulation, Internet of Things, Blockchain Technology, and Complexity Science, and assess the implications from a social science and systemic perspective. On a methodological level, we will combine mathematical modeling with massive computer simulations, data science, and large-scale experimental approaches, including laboratory and web experiments, crowd sourcing and citizen science, virtual and augmented reality, and multi-player online games. They are important building blocks of a new global ICT system and future society. Addressing these topics together will finally allow the global ICT system to adapt to social and cultural needs, react to unforeseen events and make our society more resilient. By putting together key partners with a strong involvement of industry and junior scientists from various complementary fields, we expect to make significant progress towards the ultimate goal of the FuturICT 2.0 initiative: to find a path towards understanding and managing complex, global, socially interactive systems, with a focus on sustainability, resilience, cooperation, and value creation.